In addition to becoming an AEE member and receiving exclusive member benefits, college students may also wish to join a local student chapter. Student chapters promote AEE's goals and programs on the local level while establishing themselves in their various campuses and communities as the "go-to" organization for all energy related matters. Equally important, student chapter members create a communication network around the world of energy professionals sharing information, experience, and objectives. Activities and local chapter dues vary by chapters. When you become a member of AEE, you will have access to a variety of programs. AEE membership includes subscriptions to leading-edge technical publications and newsletters, discounts on training programs, conferences, and professional services, and industry networking opportunities. 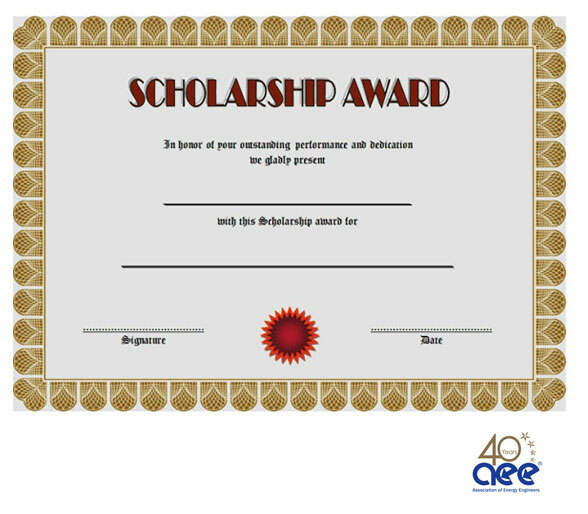 AEE HK Chapter recognizes the academic and/or non-academic achievements of our students through offering different types of scholarships to our students.